I don’t think that there is a need for yet another font and typeface. 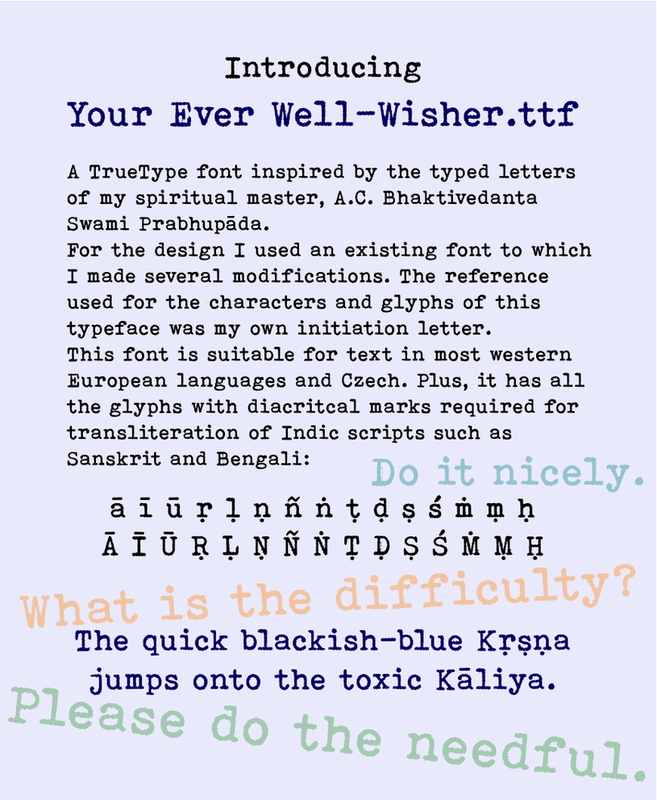 And yet, I felt inspired by the typed letters of my spiritual master to create a font with the charm that only worn mechanical devices are able to deliver. Please find all information in the image of the typesheet. Please note that this font is still in Beta-testing. I will make it available as soon as further real world tests have been carried out.